HP Inc has terminated a mobile data service that bundled free data with select laptops, tablets and 2-in-1s. "Say goodbye to expensive hotel airport and conference center network access," urged HP, when it launched HP Mobile Broadband in 2013. Buyers of a new ProBook, EliteBook or ElitePad were entitled to a perk – a bucket of free data. The first 200MB was free. In the tier offering – 2GB for €9 a month, for example – an additional 500MB was free. The plans also allowed some roaming. Sadly it all disappears from 1 April or the Day of Fools. 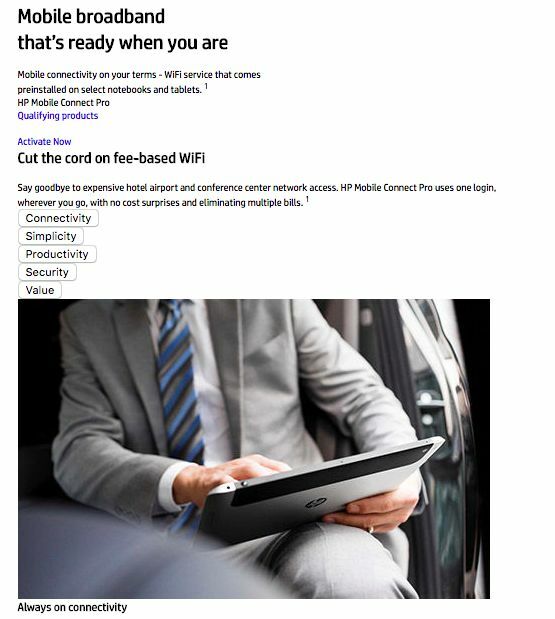 However, customers aren't happy, with one Register reader pointing out: "I shelled out for a high spec HP Elitebook laptop one year ago – one reason being the 4G modem and free monthly data allowance – a highly visible promotion. "Since customers are not paying for the 'free' data allowance there are no rights to have it, no matter that the three year free data was trumpeted on the laptop itself and on all sales material. They are not even claiming it is due to factors outside of their control, just 'due to a change in the terms of service'." The statement provided to us by HP – which took three days to arrive – didn't explain why the bundle had been terminated. "HP regularly reviews its portfolio and makes adjustments accordingly based on a variety of factors," the company told us. 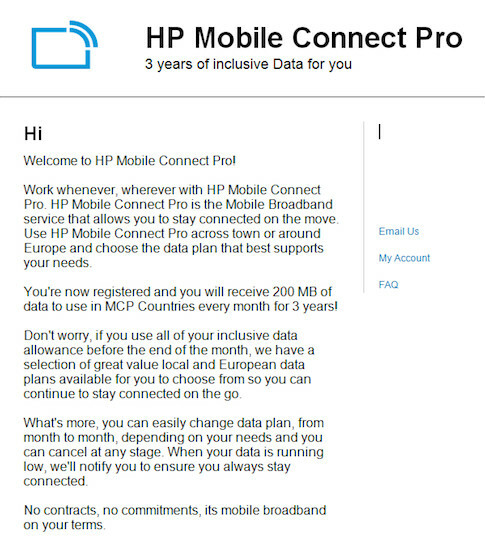 "Effective April 1, 2018, HP is cancelling the HP Mobile Connect service in Europe. Customers with an existing plan will be able to use their data until the end of March. After that time, customers with paid recurring plans will not be charged further. We apologise to customers for any inconvenience this may cause."